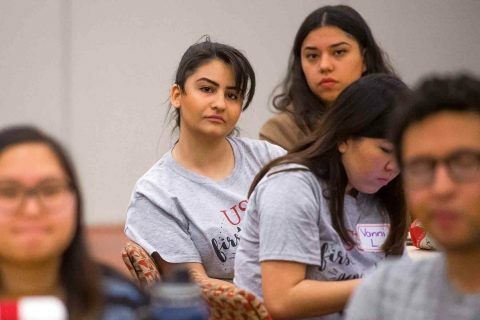 Nearly 300 students and higher education professionals from USC and institutions across the state attended USC’s third annual First-Generation College Student Summit, designed to build community, educate and advocate for students who are first in their families to go to college. 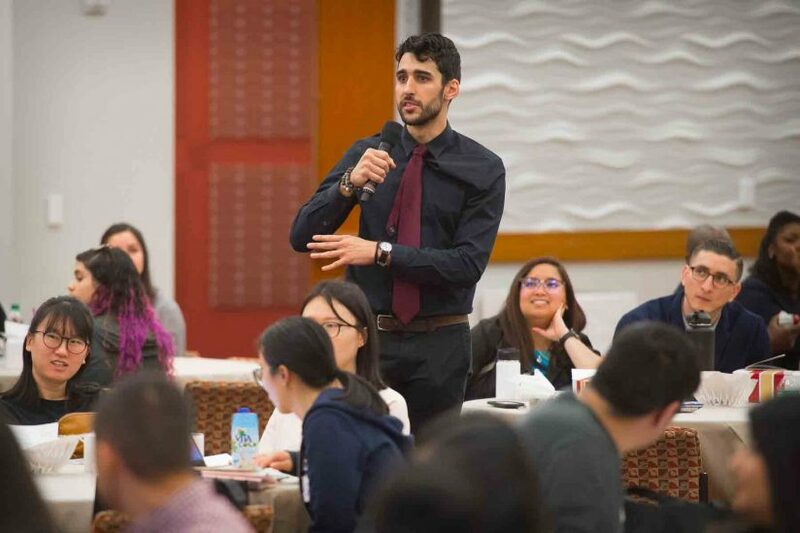 “Your presence here already shows your dedication, drive and resilience — defining characteristics of first-generation college students,” Dean Amber D. Miller of the USC Dornsife College of Letters, Arts and Sciences told the crowd at the daylong event Feb. 2. 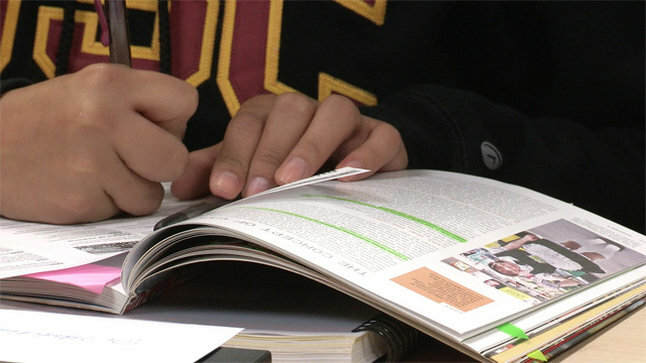 First-generation college students currently account for 19 percent of USC’s undergraduate population, said Mary Ho, USC Dornsife assistant dean for diversity and strategic initiatives. Among that group, 40 percent are students of color and 27 percent are students of color who are also Pell Grant-eligible. The theme of this year’s summit, “Building CommUNITY,” resonated with Tiaira Muhammad, a senior majoring in broadcast and digital journalism at the USC Annenberg School for Communication and Journalism. Muhammad co-founded the First Generation Student Union at USC. 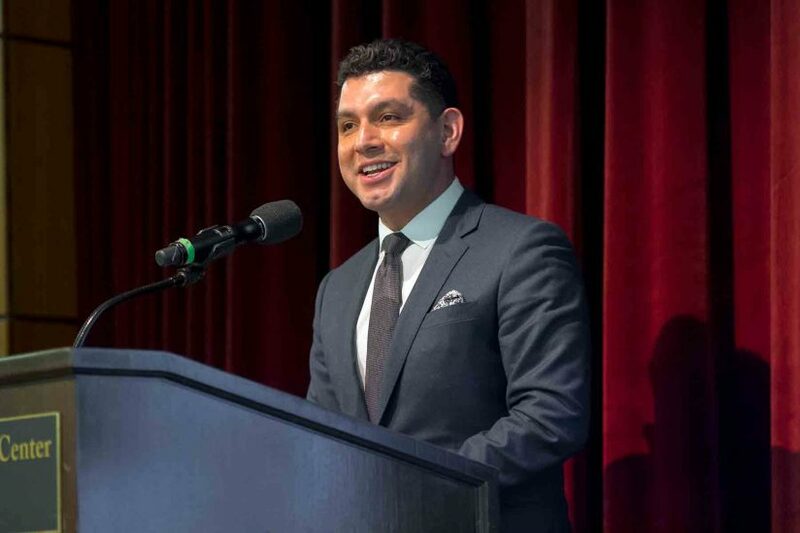 CNN correspondent Nick Valencia ’05 related his experiences as a first-generation college student at USC during his keynote. 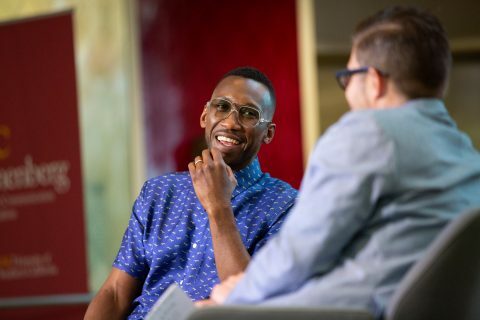 “Without a blueprint for going to college, it was challenging. You’re going to have to deal with a lot more than others who are more privileged than you, and it’s OK to be scared. But you can’t be afraid to take risks,” Valencia advised. 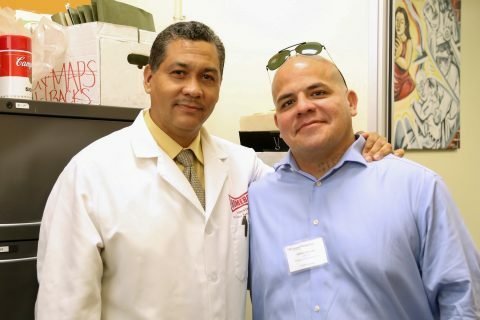 “Before my dad died, he instilled three things in me — Sí, tú puedes: Yes, you can; greatness is measured by how much it takes to discourage you; and if you want to be extraordinary in life, you must do extraordinary things.” A recurring sentiment among many first-generation students in attendance was the desire to pay forward the knowledge gained through their own trials and errors. 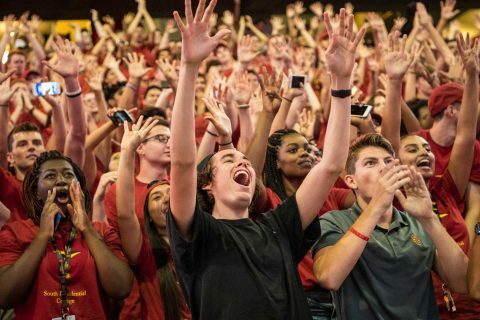 The incoming class also has the highest average test scores in USC history, and it’s the most selective class, too. 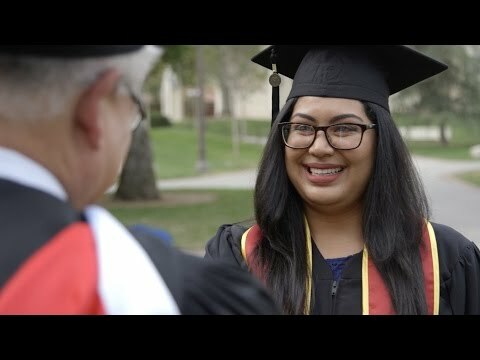 Rubi Garcia lets us follow her journey as a USC undergraduate and the first in her family to attend college. Research shows that students can tap into their backgrounds for strength and perseverance — after a short session with seniors.